From now till 31 March 2019, Standard Chartered / MANHATTAN credit cardholders can enjoy 20% off Standard Chartered Tea House Theatre Experience ticket. Presented by the Xiqu Centre Tea House Rising Stars Troupe, this 90-minute performance is specially designed to introduce new audiences to Chinese traditional theatre. 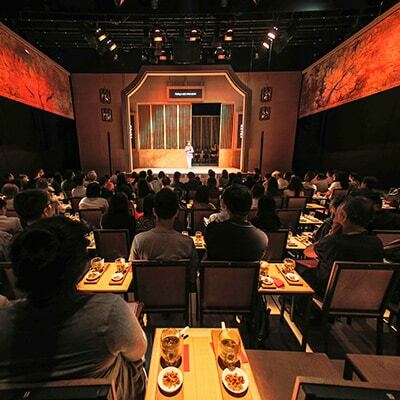 To recreate the atmosphere of Hong Kong’s early 20th century tea houses, audiences are also served traditional tea and dim sum during the show. Online and telephone booking is not available for Standard Chartered UnionPay Dual Currency Credit Card and Standard Chartered WorldMiles Card. Please visit the Ticket Office at the Xiqu Centre for ticketing. This offer cannot be used in conjunction with any other promotional offers or concessions on Standard Chartered Tea House Theatre Experience tickets.